The survey results are out! Let 2018 be the year to raise the contact center’s profile! In late 2017, we conducted our third annual challenges and priorities survey. Each year we tweak the list based on what we see happening in the market and what we learn from the previous year, but we retain substantial consistency so we can identify changes and trends. Participants could select three of each, with no ranking. Input came primarily from contact center leaders (55%), along with corporate executives (12%), IT (7%), support analysts (6%), supervisors (5%), consultants (4%), sales and marketing (2%), and a smattering of others. Figures 1 and 2 show the variety of industries and distribution of center sizes. While we have a heavy financial services participation rate and a good dose of small centers, you’ll see that we slice the data by verticals and size so you can dive into data most relevant to your company. Part of why we pursue this simple inquiry is to try to reconcile the barrage of industry messages and “hot topics” coming from vendors, analysts and the media with the realities in the trenches. Technology innovation rocks the industry—from the channels customers use to the way their contacts are routed, serviced and tracked. 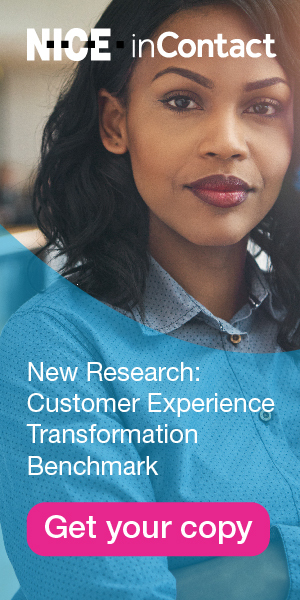 At the same time, our survey results consistently show centers struggle with some very fundamental things that are part of contact center DNA. Perhaps now we’re moving into an era where the technology can help achieve “genetic engineering” to change some of those fundamental challenges, or provide better ways to tackle them. So, let’s jump in and see what we learned! Figures 3 and 4 give you the results, including our categorization of the items. We’ll share what we think the results tell us about the industry today and where it’s going, and how that syncs with what we see in projects. As mentioned, we assess trends by industry and by size (Tables 1 and 2), and contrast this year with the last two years. There is good diversity across our four categories of workload and performance, strategy, technology and staffing, with no single challenge making the top of the list for more than 20% of participants. For three years in a row, the Top 2 have remained the same. Attrition proved to be a strong No. 1 at nearly 20%, followed by poor cross-departmental collaboration for about 18%. The latter is up, and followed closely by its sibling, lack of understanding and respect for the center. Unfortunately, what I call the “Rodney Dangerfield” effect is alive and well. These strategic issues can impact other high-ranking challenges, such as omnichannel (16%), poor self-service (15%), no budget for additional staff (14%), and managing security, fraud and regulatory requirements (13%). It’s easy to look at these and say that they can be less of a challenge when departments work together and understand the importance of the center. So I will loudly beat the drum about the need for concerted efforts to raise the center’s profile (see the sidebar). I love to tell the story of a client who I viewed as an excellent contact center leader. One year, her top goal was to make sure that the rest of the organization gained a greater understanding of the center and its interdependency with all the other departments. Achieving that goal could have so many positive impacts on other stresses in the day-to-day operations, as well as the customer experience. Invite every department leader to visit your center for a tour and some observations. A two-hour investment by each could trigger some nice “a-ha!” moments. Then, ask them to invest an additional hour each month to keep up to date and share some ideas. Create a one-page visual with no contact center lingo that will make an impression. Use the end-to-end customer journey, channels and touchpoints, and/or sources of information to solve a customer problem to show how you and they are part of an ecosystem that surrounds the customer experience. Develop a monthly update that is similarly impactful. This internal, enterprise scorecard could show how departmental collaboration—or lack thereof—is impacting success in serving customers, driving revenue and/or managing costs. Three challenges shot up more than 4%: Managing security, fraud and regulatory requirements; poor training; and lack of support resources or know-how (e.g., analysts). On the surface, it may seem that the high financial services and small center participation plays a role here, but these demographics are similar to last year. I would guess the first reflects the increase in “bad guys” that I’ve written about in Pipeline recently (see “A Deeper Look at Authentication and Fraud Prevention,” December 2017) and the painful authentication process many customers must endure. I’m excited to see the bump in acknowledging the need for analysts as that is a reality we routinely see in projects. Only one challenge moved down more than 4%: poor desktop tools. We can only hope this change reflects an increasing acknowledgment of the key role CRM and KM play, and corresponding investment in them. I continue to find it interesting that the workload and performance challenges don’t make it to the top of the list. My colleagues and I still get inundated with anecdotal stories from friends and family that show the contact center industry still has some big challenges in meeting quality, timeliness, first-contact resolution, level of effort—and therefore customer satisfaction—expectations. Maybe this category would receive greater representation if we asked for the Top 4 challenges! As we slice the data by industry, we find those same strategic issues moving up. Cross-departmental collaboration and bad self-service scored high (over 20%) for six industries. Attrition and lack of respect were high in five industries. While attrition is a top challenge overall, it is not a ubiquitous problem (five out of 13 had it under 10%). Let’s look at the other ones that grabbed 50% or more of participants’ attention. Transportation has cSatNPS and respect issues. Manufacturing has an even stronger message about lack of understanding of the contact center’s role. Two-thirds of the utilities participating have an attrition issue. And hospitalitytravel gave a big vote for coaching and development. Beyond those observations, the challenges by industry continue to vary. Table 1 shows the top challenges alongside the priorities. Those interested in comparing their industry’s items to last year may find changes as many delivered a different message this year. Two industries—outsourcing and utilities—have consistently chosen attrition as the top issue each of the three years of our survey (shown in blue). Attrition again rules the roost, with widespread impact. Centers of 501-1,000 seats resoundingly selected this as a top challenge (47%), while three other size ranges had over 20% select it. Only the under 25 and the 51-100 bands stayed off that bandwagon. The latter called out significant self-service challenges (55%). Channel additions and fraud/security scored over 10% across all size bands. Table 2 shows the top challenges by size and includes the 2017 and 2016 leaders for comparison, revealing the strength of the attrition challenge and consistency year over year. The top priority is again to improve coaching and development with nearly a fourth of participants selecting it. That makes sense both in terms of the top challenge of attrition and what we see in practice. Self-service came in at a very close second (tied for first last year). Training moved up in priorities, as well as challenges. While it may only rank as a mid-level challenge at 11%, it is a Top 3 priority at 22%. Two new priorities are worth noting. Improve employee engagement ranked fourth, with 20% selecting it. Artificial intelligence is perhaps the hottest of buzzwords but quite new. Nearly 10% put it high on their list, so it will be interesting to see how it fares in the year ahead. We didn’t see as much movement in percentages of the priorities, with the new options absorbing some change. However, two of the biggest upwardly mobile items aligned with two of the big movers in challenges: security/fraud and support resources. While not top priorities, more participants are putting them high on their lists. Improve performance management and reporting and analytics moved down as well, perhaps overshadowed by employee engagement. Interestingly, in an improving economy and with attrition and absence rates as big challenges, refining hiring and home agents both moved down noticeably. This year the top priorities again exclude strategic initiatives but have a mix of workload and performance, technology and frontline staff actions. With the high pain points on collaboration and respect, it would be nice to see their counterpoints higher on the priority list (see the sidebar for ways you can make it a priority). Some of the specific but more tactical items like self-service, training, employee engagement and process improvement can help to bridge those gaps. Three priorities are again predominant (over 20%) in a majority of the verticals: improve training, improve self-service and increase focus on coachingdevelopment. Forty percent or more of participants in educationnon-profits/associations, government, insurance, telecom and utilities called out self-service as a top priority. Process improvement and performance management again rank high for many verticals as well. Table 1 shows the repeat items in green. Let’s look at the ones that grabbed 50% or more of participants’ attention. Transportation honed in on reporting and analytics, performance management, and processes. Utilities focused on performance management, along with self-service. Insurance also emphasized self-service. Hospitality focused on coaching and development along with hiring, while government concentrated on processes. Only one priority captured over 40% of participants for that size: Self-service for the 51-100 crowd at 45% and the 251-500 band at 43%. One-third of the largest centers noted self-service as well. Not surprisingly, artificial intelligence resonated for very few small centers, but about 30% of those over 1,000 agents want to be the early adopters, along with 21% of the 251-500 band. Coaching and development rated highly among a variety of sizes, with about a third of 26-50 and 501-1000 selecting it. Improving training, employee engagement and performance tools round out the other priorities that ranked high (over 20%) for a variety of sizes. Interestingly, employee engagement seems to be a greater priority for the smallest (50 and under) and largest (501 and up). Performance tools rated highest in the small and mid-range centers. While the priorities that align with important challenges in collaboration and respect were not highly ranked, they do shine in a few sizes. Over a fourth of the 51-100 identified raising awareness of the center’s role and about 21% of the 251-500 band wants to work on interdepartmental dynamics. These two items each resonated for about 18%-19% of the smallest centers. Table 2 shows that, across sizes, the priorities have changed much more than the challenges. If you are a visual person like me, you have to love word clouds! Take a look at Figure 5 and you will see the very loud attrition challenge aligning with the coaching priority, as well as other things that can improve retention such as employee engagement and training. But you also might notice some disconnects. The counterpart of those big challenges around respect and collaboration are way down the priority list. While security and fraud moved up, they did not move in step. Omnichannel is the fourth highest challenge but No. 9 on the priorities list. On the flip side, self-service and training get greater attention than their challenge ranking would predict. We know that the realities of centers and their environments make strategic priorities difficult. But that doesn’t mean we shouldn’t try! Before companies jump on the next industry-driven hype train (artificial intelligence, I’m talking about you! ), it would be great if self-service, contact routing and contact-handling improved across all channels, with a cohesive and collaborative approach to the full customer experience. That sort of success requires great leaders that “get” the role of the center and drive the focus on the customer. You’re not asking for too much! If your leadership isn’t in tune yet, start at the top and invite them in for a little discovery and discussion about your challenges and priorities.